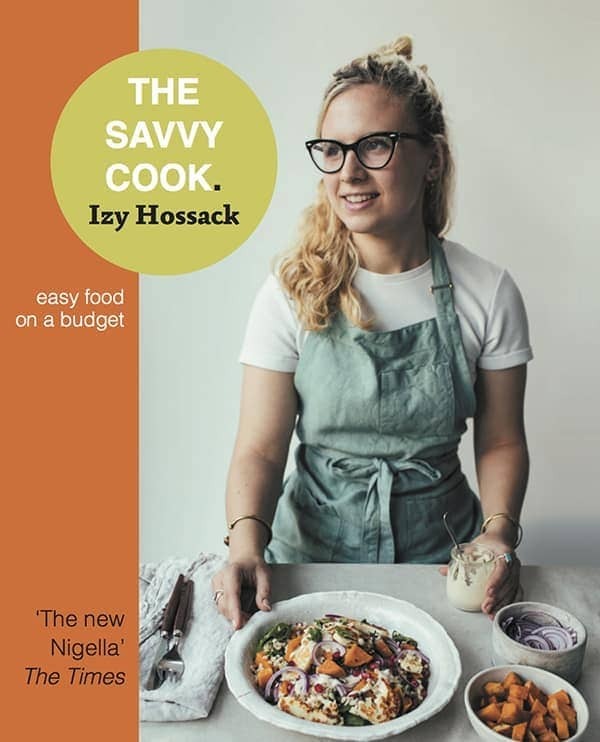 Growing up I remember leafing through my mum’s cookbook, searching for the particular recipe that I wanted to make that day. I would look out for the signposts e.g. the page with the post it note on it, the page with a magazine cut-out of a brownie recipe with its gloriously vintage photo… It was easier to remember the location of certain recipes in that book like the chocolate chip & almond torte situated on the final pages. That’s the recipe that this torte is based off of (and which was in my first cookbook!) 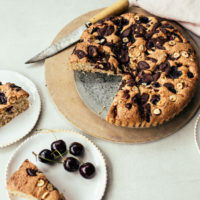 with a few changes made to incorporate hazelnuts and cherries into the batter as well. 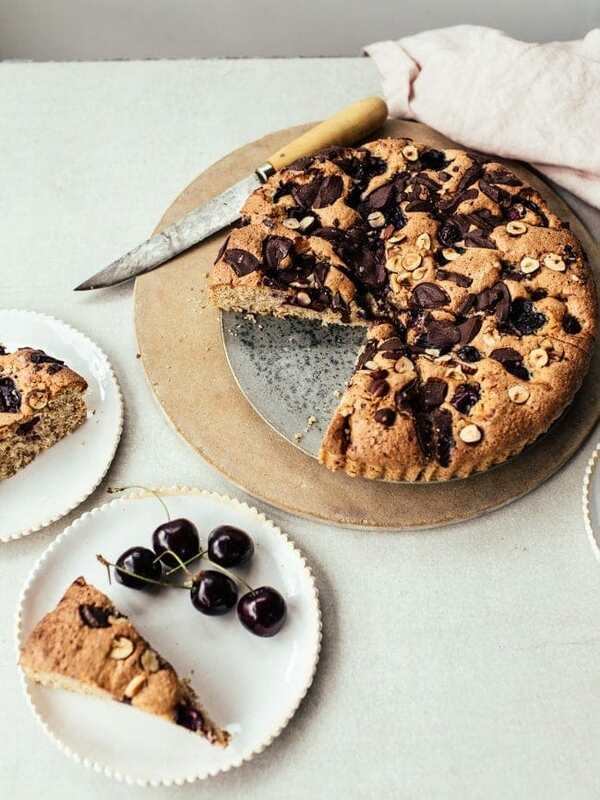 As cherries are in season at the moment, I’ve been eating and baking with them a lot! Much to my joy, Waitrose has just started stocking British-grown cherries which is pretty amazing. All of the UK-sourced fruit and veg from Waitrose is LEAF Marque (Linking Environment and Farming) certified which means that the farmers operate in environmentally responsible ways like using crop rotation and limiting use of chemical pesticides/fertilisers. I find it so cool when I can source ingredients from the UK which you wouldn’t typically expect that have been grown in a way which is mindful of the environment. Oh and the cherries were juicy and sweet! So they paired perfectly with the bitter chocolate and earthy hazelnuts. 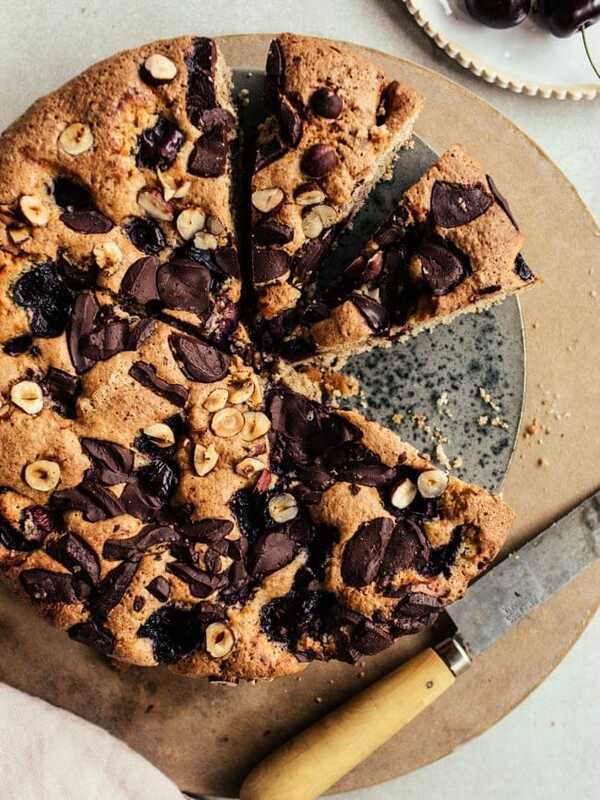 This torte does require a bit of extra effort as you have to do the whole egg white whisking thing plus you need to pull out that food processor to break down the biscuits + hazelnuts. BUT I do have to say that this is one of my all time fave tea-time cakes. It’s quite light and buttery so it goes down well with a cup of coffee in the afternoon! Place the biscuits/crackers into a food processor and blitz until mealy. Add the hazelnuts and blend again until the majority has broken down into a mealy texture. Pulse in the flour and baking powder. Use some of this mixture to dust the buttered tin then pour the rest of it into a large bowl and set aside. Separate the eggs placing the whites into a large, clean bowl and the yolks into the bowl of the food processor. Add the butter, half the sugar and the salt to the food processor with the yolks and blend together until smooth. Tip in the flour/biscuit crumb mixture from earlier and blend until just smooth. Scrape back into the bowl which the flour/biscuit mixture was in. Whisk the egg whites until they start to froth up. Very slowly stream in the remaining sugar as you continue to whisk the egg whites. Keep whisking until you get stiff peaks. Mix 1/3 of the beaten egg whites into the butter mixture in the large bowl to loosen it up. Add the remaining beaten egg white and gently fold together until you just reach a consistent, smooth batter. Pour the batter into the prepared tin and sprinkle with the cherries and chopped chocolate (I also put some extra hazelnuts on top). Bake for 20-25 minutes until the edges are set and the middle is just slightly soft. Remove from the oven and leave to cool. Remove from the tin, cut into wedges and serve. - to make this gluten-free: replace the flour with gluten-free baking flour. Use dry amaretti biscuits (check they're gluten free) instead of the digestive biscuits/graham crackers. - to make this dairy free: use refined olive oil or canola oil/sunflower oil instead of the butter. Make sure the chocolate you're using is dairy-free. *Thanks to Waitrose for sponsoring this post! All opinions are my own. Ahhhhh – I LOVE digestives. In a weird, I-get-to-eat-all-i-want-cuz-this-is-totally-a-cracker-not-a-cookie sort of way! (Commence shoveling chocolate covered digestives into my mouth.) The fact that you recommend using those for the crust is pure genius. And you can never go wrong with a cherry chocolate pairing. Cannot wait to make this for the guests we have coming next weekend! 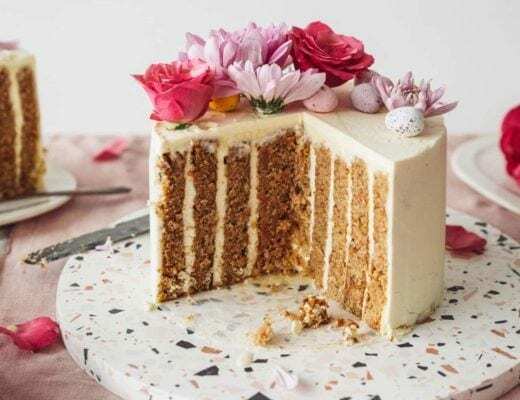 Lovely and different (at least to me), though i love the flavors individually, have not had them together in a torte, so thank you for this recipe! Essa torta de sereja chocolate e avelã parece muito saborosa me de uma vontade enorme de saborear e parece não ser tão difícil preparar.